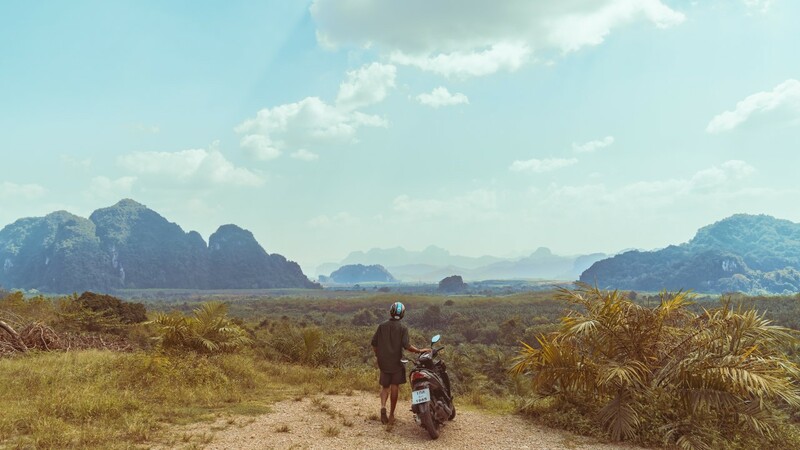 With longer working hours, constant digital contact and increasing obligations, it’s no wonder more people are treating themselves to solo trips to (temporarily) get away from it all! According to a survey by Agoda, one of the world’s fastest-growing online travel agents (OTA), travellers are choosing to go solo to take respite from the stresses of modern living.Agoda’s ‘Solo Travel Trends 2018’ survey, conducted by YouGov, found that relaxation and time to unwind is the number one motivator for solo leisure travel globally (61%), which compares to 48% when traveling with friends. Solo travellers surveyed also ranked getting away from routine (52%) and exploring new cultures (45%) as top motivators. Interestingly, Asian solo travellers are more likely to be younger – Millennials (41%) and Generation Zers (38%) – while in the West, solo travel is more prevalent among Baby Boomers (39%) and Generation Xers (24%). Western solo travellers are more likely to indulge in solo travel for longer periods, more often taking trips for 4-7 nights (34%). In addition, Western solo travellers are twice as likely to go on trips of 14 nights or more (20% versus 10%). The Millennial and Generation Z Asian solo traveller tend to take shorter 1-3 night solo trips (46%). Unsurprisingly, solo leisure travellers spend more time in front of their laptops and phones than any other traveller type – two hours a day (119 minutes), which compares to 15% more time than when travellers are with friends (100 minutes) and 26% more time than if they are with family (86 minutes).Asian solo travellers are the most digitally connected and are more than two times as likely to spend four or more hours a day in front of their screens than their Western peers (31% versus 12%). 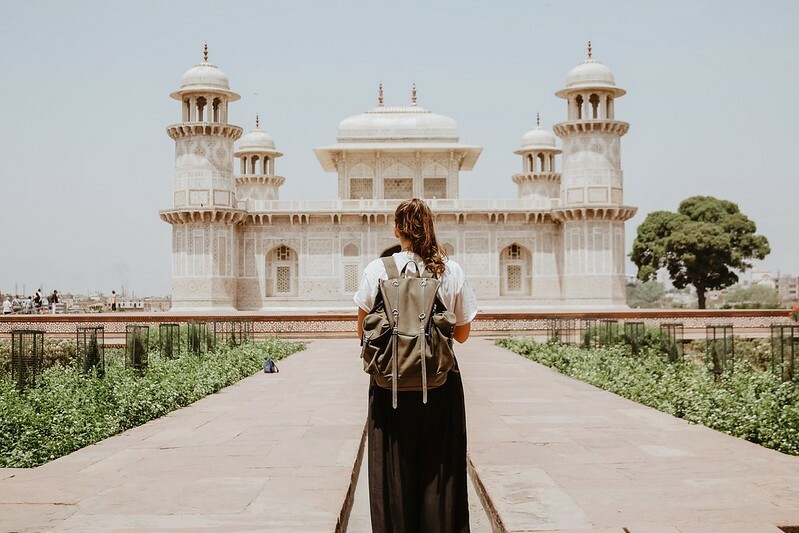 Whether for business, leisure or ‘bleisure’ (a combination of business and leisure travel), independent solo travellers are all heading to cosmopolitan cities around the world. 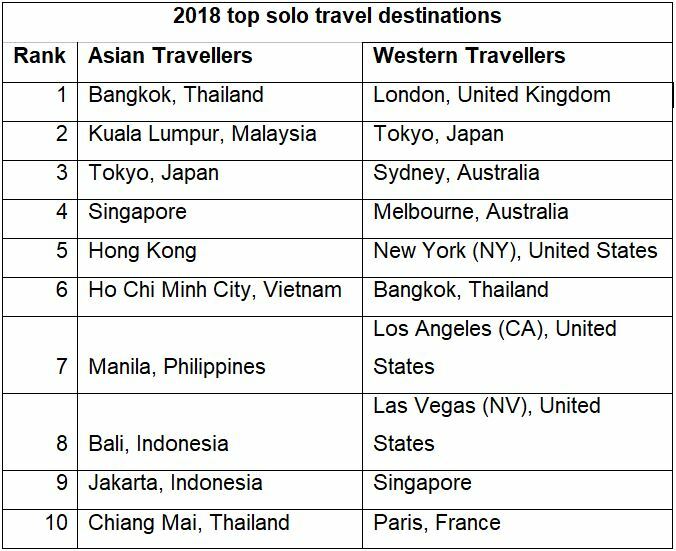 According to Agoda’s booking data, Bangkok (Thailand) is the top destination for Asian solo travellers this year, while London (United Kingdom) is number one for Western solo travellers. Both cities have a lot of attractions to keep any solo traveller busy, from shopping and nightlife to culture and dining. Tokyo (Japan) is a popular choice for both Asian and Western travellers, hitting the top three for both groups. With various food, culture and accommodation options, from capsule hotels to homes and luxury 5-star retreats, the city has a lot on offer for every kind of solo traveller. The Agoda ‘Family Travel Trends 2018’ research was conducted by independent market research firm, YouGov between June 19th and 25th 2018. 10,784 respondents were interviewed online and are representative of those who have been on holiday at least once in the past year in each of the following countries: UK, US, Australia, Singapore, Malaysia, Philippines, Indonesia, Vietnam, Thailand and China. Agoda booking data was collated from January 2018 to September 2018. ‘Asian’ is defined as China, Philippines, Indonesia, Malaysia, Singapore, Thailand, Vietnam. ‘Western’ is defined as United Kingdom, United States, and Australia. ‘Generation Z’ are defined as aged 18-25, ‘Millennials’ aged 26-38, ‘Generation X’ aged 39-58, ‘Baby Boomers & Older’ aged 59+.